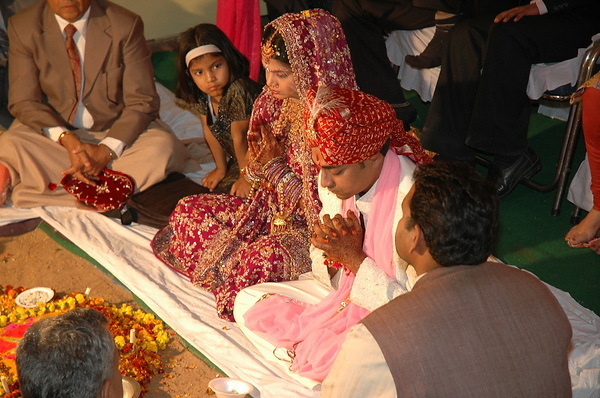 I have always found ceremonies and traditions from other cultures absolutely fascinating, especially when it comes to wedding celebrations – in a foreign country. 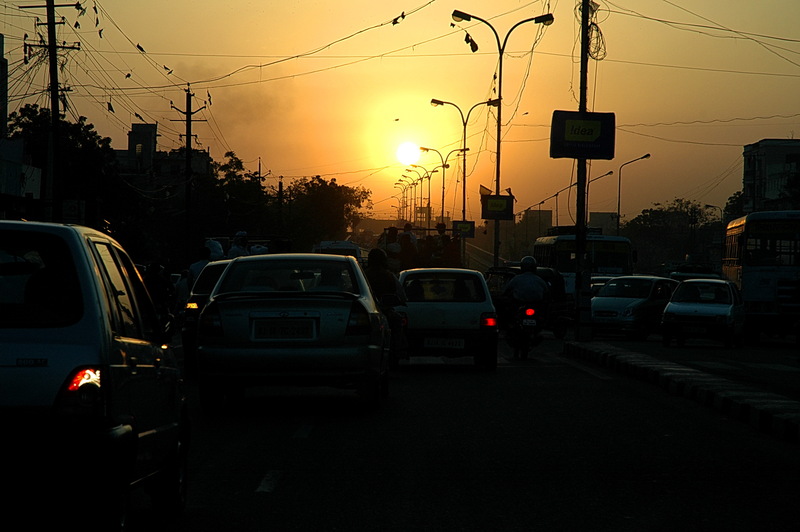 Touring around India had given me an amazing experience. I got invited to a wedding – An Indian Wedding was a surreal experience for me. My friend suggested me to get henna. I thought henna is such customary in Indian weddings since I did not bring any nice clothes to travel, henna would look good on me when attending an Indian wedding reception. 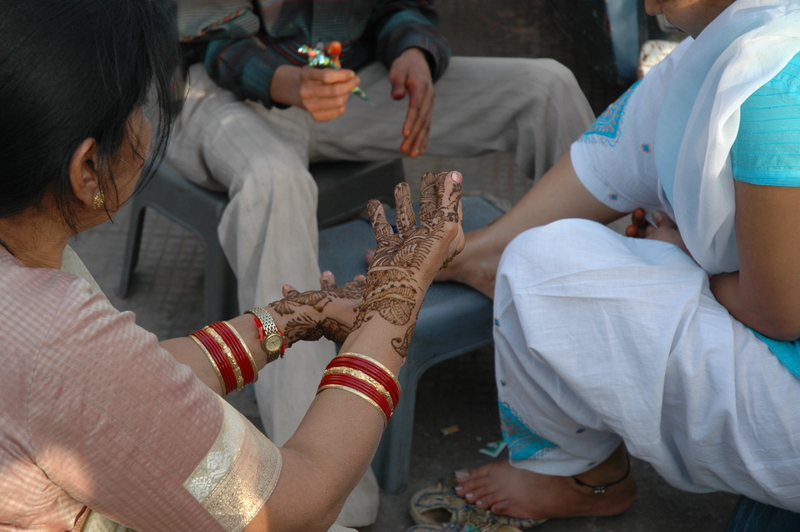 A women had gotten henna done on her both hands. 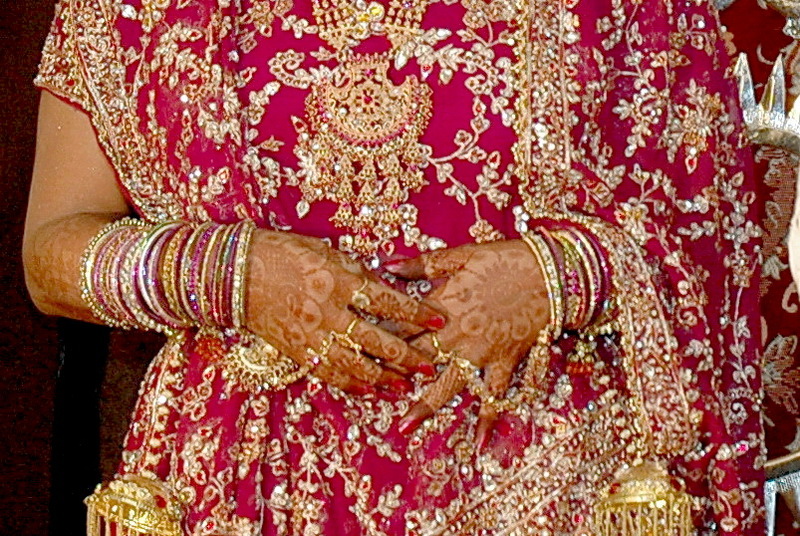 Traditionally, the brides would wear henna on their hands up to sleeve long and on their feet. 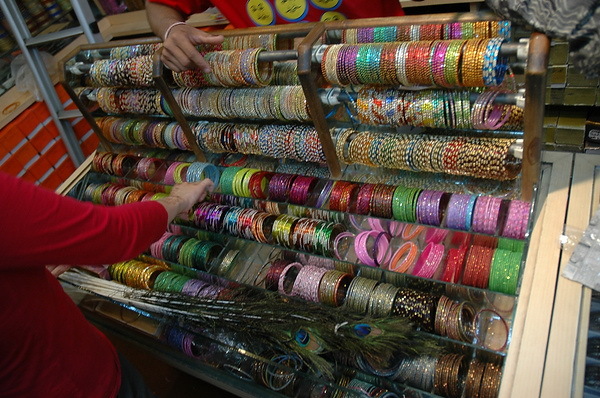 This henna shop situated on a busy street market. To my surprise, the henna tattoo artist did a great job on my hand. 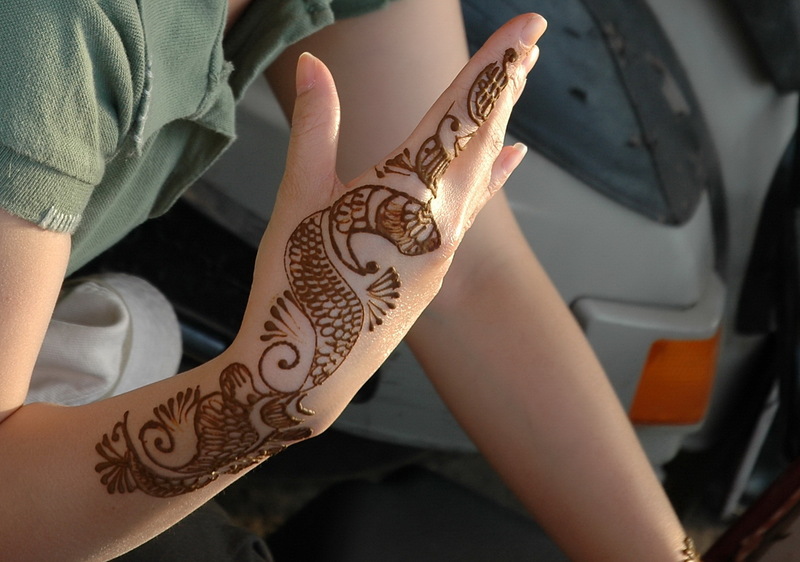 The henna substances dries up fairly quickly. It had stayed on for two weeks. The henna paste is 100% natural from henna plant and essential oils (usually cajeput, orange sweet, wild orange or lavender). 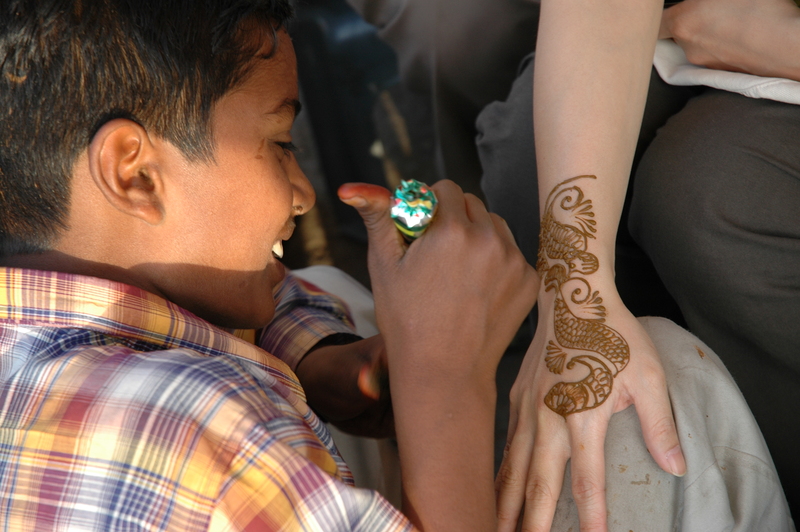 A Henna beautifully painted on my hands. Apart from the fact that I was a tourist, I did not know both bride and groom. They were my friend’s family friends had gotten married. I was delighted to attend. And it was delight mixed with a great deal of curiosity. My experience of watching Bollywood movies has left me feeling a little curious about Indian wedding receptions. I wondered how she must be feeling about the whole arrangement. She looks so young and sweet. From the moment they walked into the reception, it was quite obvious. They are a beautiful couple. She was smiling but looks tired. They got lots of blessing from their related families, relative and hundreds of friends attended in the reception throughout the night. Well I guess the whole wedding thing was a lengthy process to sit and thank the guests of a few days long celebration. 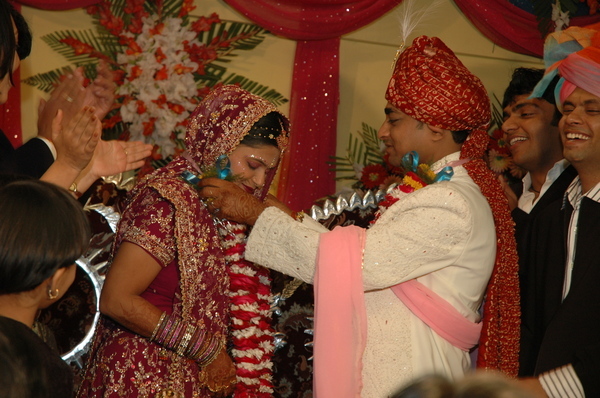 Indian wedding is not only a single day ritual. 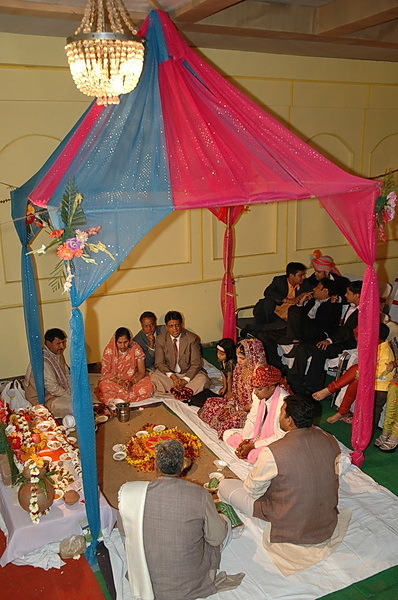 Traditionally, wedding celebrations in India extend almost a week long and feature pre-wedding, wedding ceremony and post wedding reception. 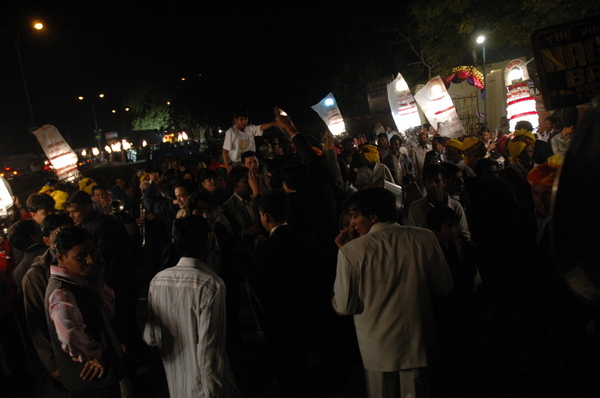 The celebration outside the reception on the street. Lots of singing and dancing.. 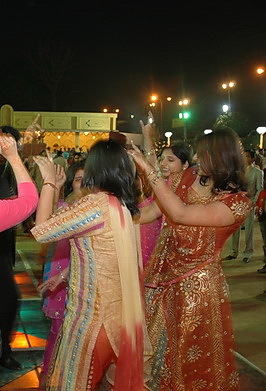 I was delighted to see the whole Bollywood style dancing where the entire bridegroom side were dancing in the streets. 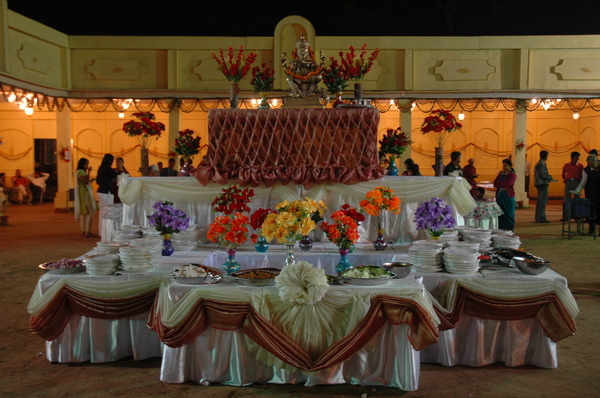 The food was tradition and well presented. The wedding reception went wonderfully. Post wedding ceremony during the wedding reception. Post wedding ceremony during the wedding reception with related families and relatives. You probably heard of this place. 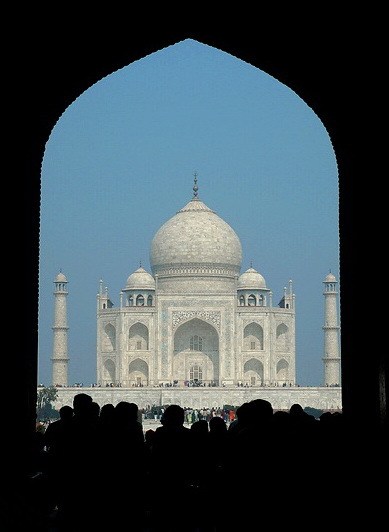 There’s something about the Taj Mahal. And I don’t know what that thing is. I couldn’t believe my eyes that its gleaming white glory, a pretty building, made of white marble, and it’s kept nice and clean. The Taj was breathtaking but the city itself was horrible. It’s a bizarre feeling. So what makes it so impressive? There is a tunnel you have to walk through before heading towards the white marble building, standing and looking at from the tunnel you can clearly see the smooth, shapely lines of the marble. Towards the building, there is the reflection pool running through the middle of the well-kept gardens. Still what makes it so special? Other than overseas tourists walking along with me, I looked around most of the visitors are Indian. They come to see their landmark, the special charm of Taj built by the king full of glory of love dedicated to his late queen. Here’s a monument to love, one of the greatest monuments to love in the middle of Agra period. Just Impressive. 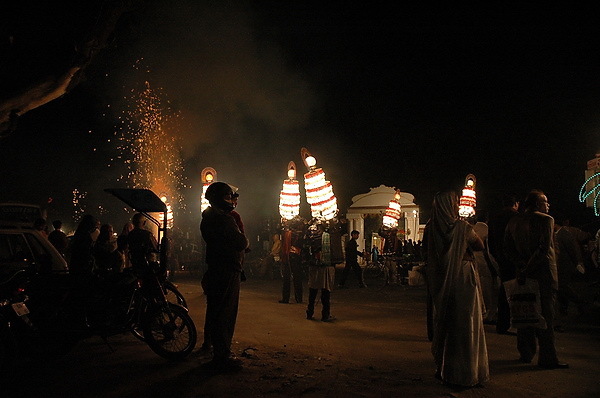 India is not to everyone’s taste but I find it extraordinary in every possible way, good and bad. The food as well. 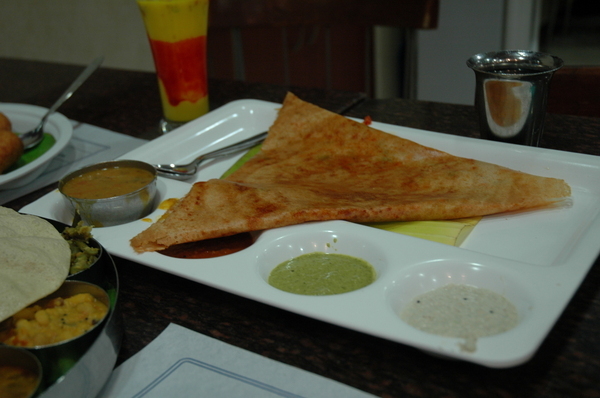 I love Indian Food, Indian Curry. The food was so delicious and tasty! So I photographed a lot of the food I had. I do not want to get sick when I travel to India, particularly, I follow some golden rules: never drink the tap water in India, only eat hot food, only eat in restaurants, use hand disinfectant and always wash your hand before putting anything into your month. 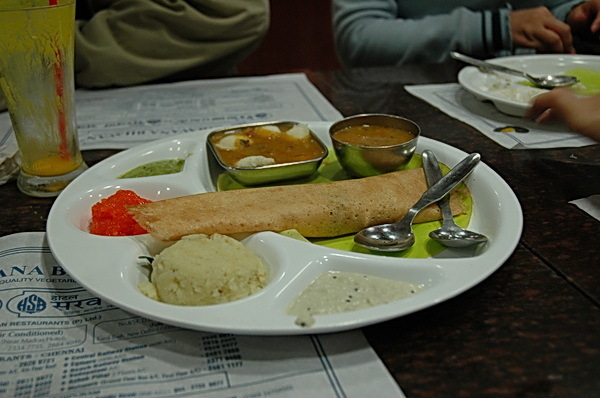 I noticed that many Indian foods such as naan or roti are best eaten in this way, even eating rice. Indian food is super delicious and very spicy!!! The rich mix of spices that made the food what it is. Yogurt definitely helps to cleanse the spiciness. 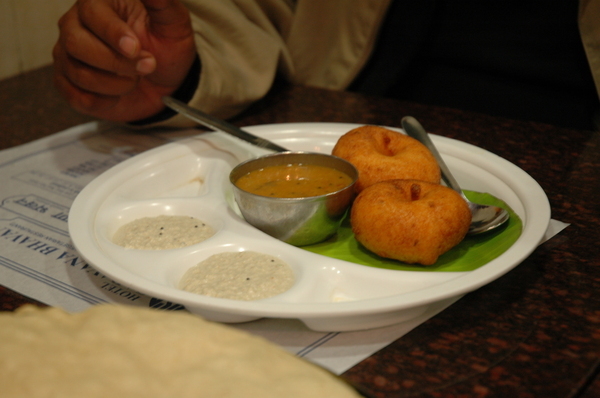 I enjoyed every meal in India, also followed their tradition to eat with my hands for an authentic experience. In India, eating with your hands is a tradition. Use only your right hand. 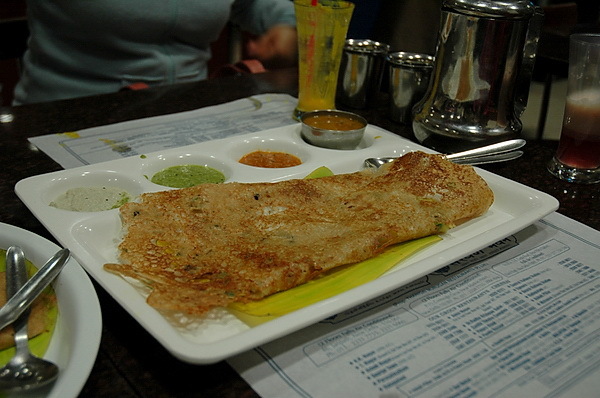 Though cutlery is used everywhere, a lot of Indians prefer to eat Indian food with their hands. 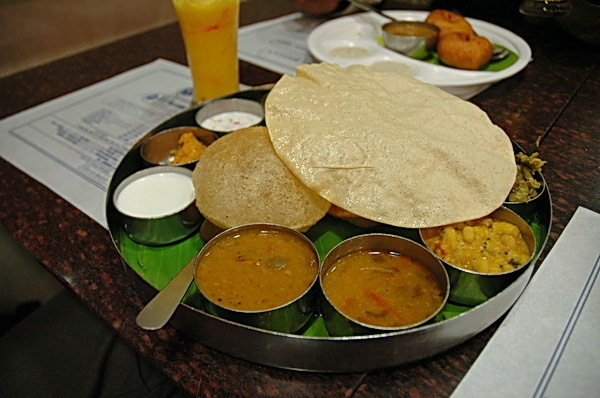 Crispy deepfried bread shells of puri cooked potato and chickpeas, spanish onion, torn coriander leaves and plenty of lentil, accompanying pots of coconut chutney, yoghurt, tamarind sauce, pickles and masala soup. The finger-licking goodness is addictive. An example of a common cold Indian drink is “lassi”, which is a yoghurt or buttermilk drink that is sweetened and most often served plain. 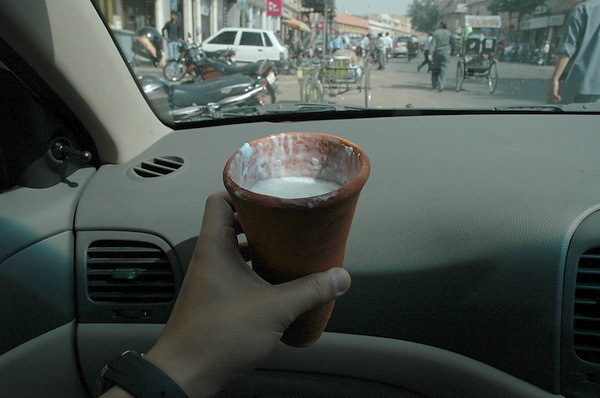 Traditional Lassi in a clay cup, made from buffalo milk with the curd on top from Lassiwala in Jaipur.